In Rio de Janeiro, Samba is everywhere, so it is useful to know the basic steps! Therefore, as part of RioLIVE!, the school invited a Samba instructor to the school to give us a private lesson. The class was great fun, and by the end even those of us with two left feet managed to master the basics! Samba is one of the cariocas’ passions. 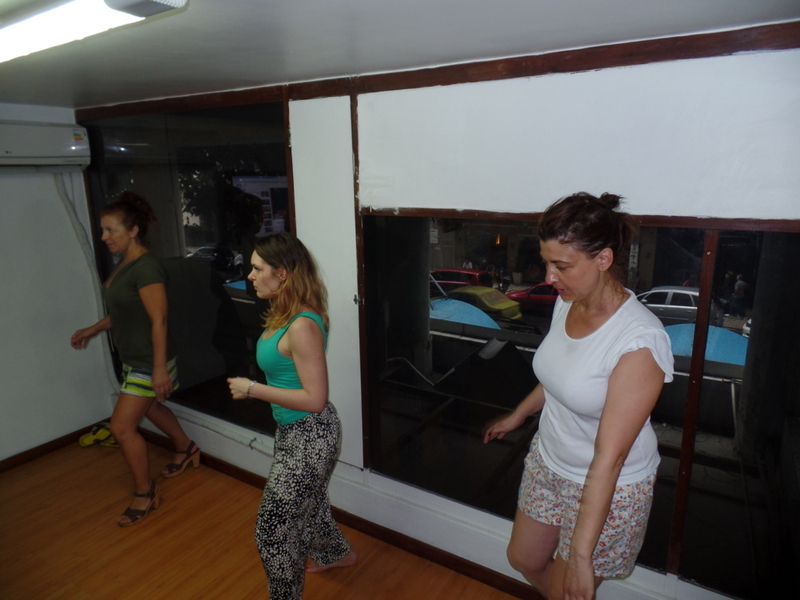 Learning how ‘sambar’ (dancing samba) is one of the biggest desires of many foreigners who come to visit Brazil. That’s why, our RioLIVE! at this time was a funny samba class here at Rio & Learn. The class started with simple steps, but after a lot of practicing, they became more difficult. 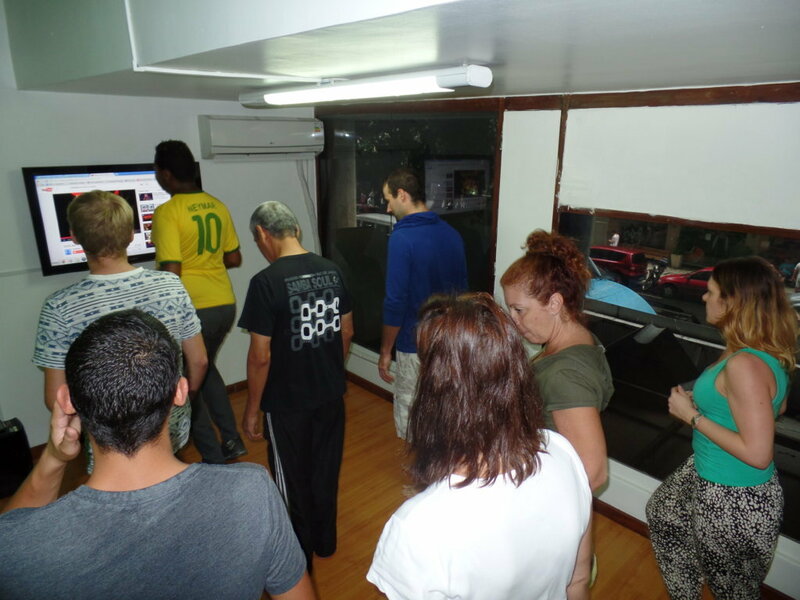 Our Portuguese students, from Italy, England, Colombia, Canada and Spain had a lot of fun, practiced Portuguese and also had the courage to join in a roda de samba (a kind of circle where you can dance by yourself). It was a nice way to spend the afternoon having fun and practicing Portuguese. 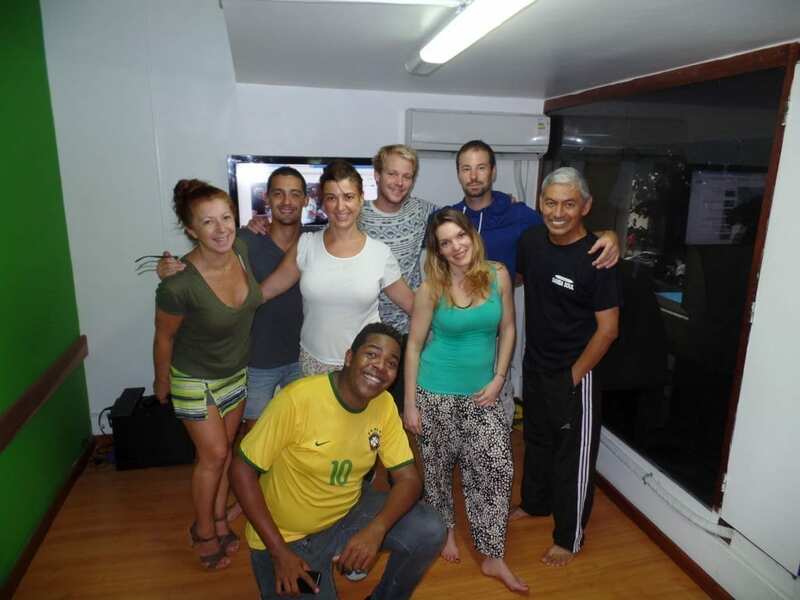 If you are looking for learning Portuguese and having fun, Rio & Learn is your place taking part in our RioLIVE! Activities.